John Deere agricultural equipment is hard at work everywhere in the world — on the pampas in Argentina, the steppes in Russia, the Great Plains in the United States, the Indo-Gangetic plain in India, the North China Plain in China. Everywhere except in Farming Simulator. For tens of millions of video gamers around the globe, November 20 wasn’t an ordinary day; it was launch day for Farming Simulator 19. For GIANTS Software, the development studio behind the series, Farming Simulator is its biggest selling video game. As the name suggests, the game simulates farming, allowing players to farm and breed livestock in settings reminiscent of landscapes in the U.S. and Europe. The object of the game is to farm profitably and then invest profits in more equipment, livestock, and land. Farming Simulator includes elements of economics, trade, weather, and other variables so that just as in real-world farming, good decisions are rewarded, bad decisions are punished, and sometimes pure luck can turn good decisions into bad ones and vice versa. 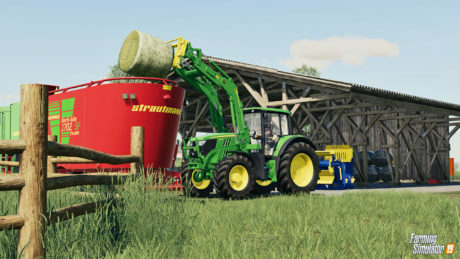 Much of the anticipation for Farming Simulator 19 is generated by just one thing: For the first time in the 10 years since the game launched, John Deere has granted permission to include its equipment. The long wait for Deere equipment tested the patience even of some of the world’s most patient professionals: farmers. One of the reasons Deere had waited on the sidelines is control. Deere had to weigh the potential for misuse — even though Farming Simulator is just a game — against the growing possibility that the company was missing out on a tremendous opportunity to make millions of positive brand impressions with gamers around the world. The opportunity finally became irresistible about 17 months ago. Since then, Deere engineers have worked hard to ensure John Deere products are portrayed accurately and in great detail. That’s because Farming Simulator gamers want not just to use our equipment, but also to be able to look “under the hood” to see how the machines work and keep up with routine maintenance, just as real-world farmers do. European gamers get a sneak preview of Farming Simulator 19. 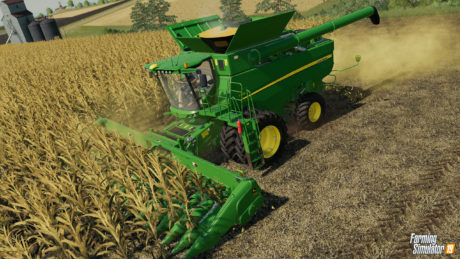 One surprise for Deere’s Hamke was that actual farmers are among the millions of Farming Simulator gamers worldwide. In fact, up to a quarter of Farming Simulator players are involved in agriculture. Another surprise is that many Deere employees are also Farming Simulator players. “I’d get emails and calls from fellow employees asking when they were going to get to use our equipment,” Hamke said. The entertainment genre is largely dominated by what are known as “first-person shooter” and “action-adventure” games. 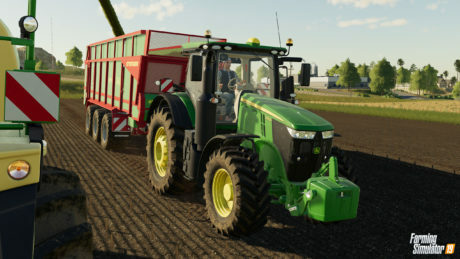 But Farming Simulator offers a uniquely productive and educational option for players, which may account for the fact that the game is now GIANTS Software’s flagship product and ranks in the top 50 among all video games. 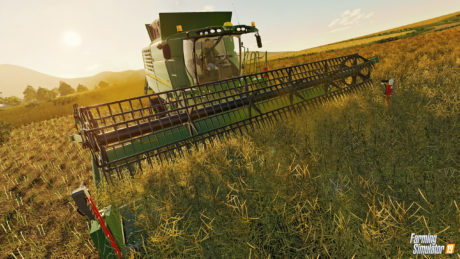 And now that Deere equipment is part of the industry’s premiere farming simulation software, observers expect the game to become even more popular. In other words, jajajajajaja!